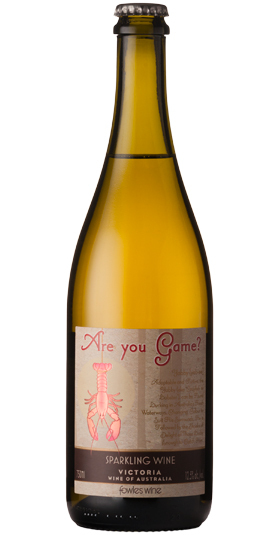 Are You Game Sparkling Vermentino by Fowles Wine takes me straight back to warm summer evenings sitting outside in Italy. Cold sparkling white made from a very Italian grape with lots of Citrus fruit flavour drunk with Antipasti or the little snacks served in bars. Fantastic flavour which excites and cleanses the palate. I don’t drink a lot of sparkling wine, but I like to find something different, and I found it here. Totally different from the normal chardonnay/pinot blends, and absolutely transported me back to balmy evenings (and daytimes) in Italy. The Italians make all sorts of sparkling wines from a multitude of grapes. they experiment and the flavour range produced is incredible. Vermentino is grown extensively in Southern Italy and Sardinia. It is closely linked to Favorita which is a Piemontese grape. It has travelled well to Australia, and is used here to produce a fairly unique Australian sparkler.